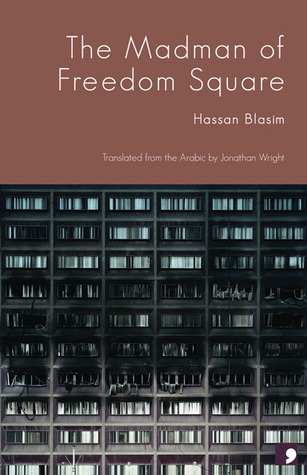 From the Iran/Iraq War through the Occupation, this collection of fictional short stories presents an uncompromising view of the relationship between the West and Iraq, as well as a haunting critique of the postwar refugee experience. Blending allegory with historical realism and subverting expectations in an unflinching comedy of the macabre, these tales manage to be bothFrom the Iran/Iraq War through the Occupation, this collection of fictional short stories presents an uncompromising view of the relationship between the West and Iraq, as well as a haunting critique of the postwar refugee experience. Blending allegory with historical realism and subverting expectations in an unflinching comedy of the macabre, these tales manage to be both phantasmagoric and shockingly real. For all the despair and darkness portrayed in these gripping stories—from spotlighting hostage-video makers in Baghdad to following human trafficking in Serbia's forests—what lingers more than the haunting images of war is the spirit of defiance and of indefatigable courage. Tarinat liukuvat irvokkaasta runolliseen pilkunkaan varoittamatta. Muistumia itäeurooppalaisesta surrealismista tai absurdismista, mutta juonekkaampaa, loistokkaampaa, sujuvalukuisempaa - mistä kiitos myös kääntäjälle Sampsa Peltoselle. Henkeäsalpaava lukukokemus! عند الشعور بالخوف من مسبب معين قد ينصح بمواجهته كي لاتعاودنا حاله الخوف تلك .حسن بلاسم قام بالمثل بالرغم من عدم معرفتي ان كان يقصد فقط التعريه ام التخلص من الوجع وكل انواع ماقاساه يوما شخوص قصصه . These Iraqi short stories could pass as the work of a very imaginative horror fiction writer you remind yourself they most probably happened in real life. Disturbing, revelatoryportant! Любимите разкази - "Кошмарите на Карлос Фуентес" и "Пазар за истории". Движенията ми, както знаеш, са на алкохолик, комуто алкохолът е престанал да доставя радост. Kiinnostavaa tutustua tähän kansainvälisesti noteerattuun kirjailijaan. Vaikkeivät novellit yleensä ole minun juttuni, tämän kokoelman groteskeja juttuja luki kuitenkin nopeasti ja sujuvasti. Reading the world in books: Iraq. 21st century prose at its best.